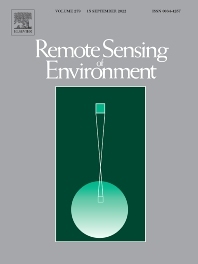 Rensor systems and spectral-radiometric measurements. Types of Articles Original Research Articles: Describe important significant new results or methods that will advance the science or application of remote sensing. Review Articles: Provide a thorough review of the current state-of-the-art of an important subject, with a synthesis of previous work beyond literature compilation. Short Communications: Brief papers containing significant new data or techniques may be published as Short Communications.